The Casilando online casino is currently offering a no-deposit registration bonus. Just for signing up, you will receive 10 free spins. Once you commit to making your first deposit, you will receive an additional 100% match bonus good for up to £300 plus 90 free spins. 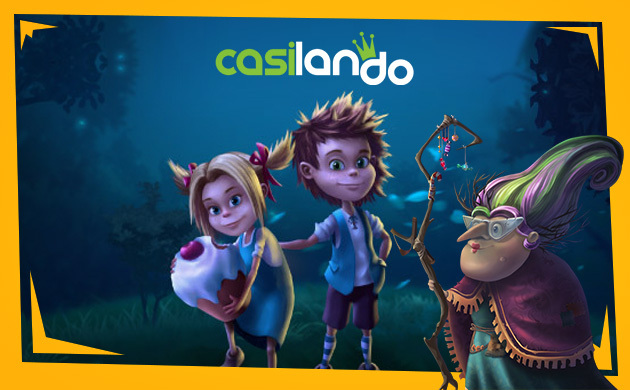 Having launched in 2017, Casilando is a brand new casino. They are powered by a much-proven Microgaming software platform with operations by Imperium Network Solutions Limited. Casilando promises to treat its players like kings and queens. In addition to a large slot selection, they also offer a wide variety of table games and other novelties like bingo and virtual scratch cards. Despite being new, Casilando already offers some hefty jackpots. They also have promotions extending well beyond the typical first deposit bonus. Currently, returning players can qualify for a 50% deposit bonus of up to £250 every Thursday, plus 20 free spins on the Aloha! Cluster Pays slot. A loyalty points program and referral bonus offer additional ways to earn free play. Free £10 No deposit required – UK Casino!